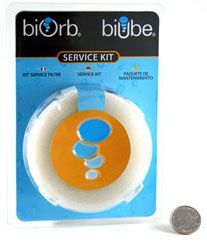 Everything Biorb is the # 1 Online Resource for Biorb & Biube Accessories, Filters, Bi orb Parts, Biorb Fish Tanks, Biube Aquariums, & Bio orb Information. We specialize in Biorb Supplies & biorb fish tanks and have over two years of experience with biorb tanks. We carry all the biorb accessories and everything you need for your tank, including product information, supplies, fish tanks, & biorb supplies. Everything Biorb is located in the U.S.A. and we ship within the U.S.A. & Canada. We regularly add new video's and articles to our website, so check back often, or sign up for our Biorb Coupon Club! Biorb Flow Aquarium - The Reef One biOrb FLOW is perfect for keeping small fish and shrimp. Its compact size makes it a perfect fit for your office desk or any small space. Biorb Six Month Supply Kit - Stock up on Biorb Service kits and other supplies with everything you'll need for your biorb aquarium for 6 months. A short video showing what comes with the Biorb Life aquarium and how to set it up for the first time. For more video's and tutorials visit our Biorb Video Section. What is Unique about Bi orb & Biube Aquariums? The bio orb aquarium line began by combining the looks of a traditional fishbowl with the performance of a hi-tech aquarium, since the classic biorb was first created in 1999 and reached the U.S. a few years later. Since that time Reef One has created eight new aquariums that all integrate perfectly with the same filter system and accessories. 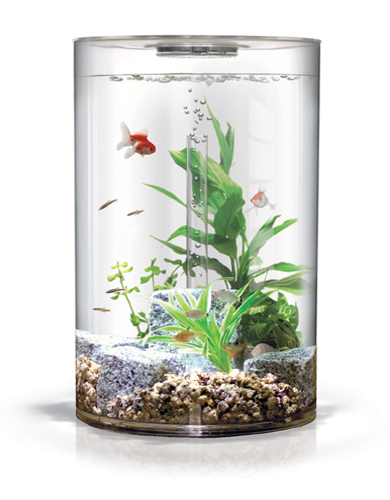 The different biorb lines are Classic Biorb Tanks, Biube Aquariums, & Biorb Life Aquariums. The acrylic is clearer and ten times stronger than glass. 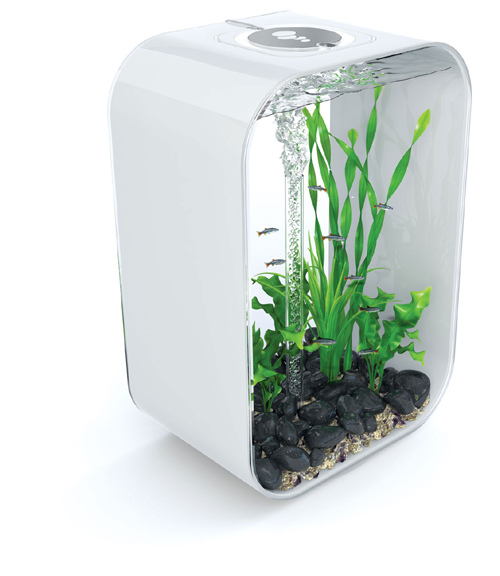 Five stages of filtration keep water in biorb tanks crystal clear and free of pollutants. With tanks ranging from 4 gallons to 16 gallons, fish hobbyists can choose a tank that is right for their circumstances & for ethical fish care and treatment. They are perfect for novices & hobbyists, and are easily cleaned using the biorb siphon hose, and replacing the service kit filter is as easy as a snap and twist. We recently added a new line of products to our website to help you take care of your fish. We are happy to announce that we now carry Thomas Labs Fish Antibiotics such as Fish Mox & Fish Mox Forte. A complete list of the new medicines is below.